For the first part of her music career, singer songwriter Shelby Lynne followed the rules of country music and had modest success. When she didn't get that big breakthrough hit single, she moved to a new record company and went in a different direction. The result was the 1999 album I Am Shelby Lynne. Though the album was critically acclaimed and it won her a Grammy, her country music fans abandoned her and the album was ultimately a failure. She was born Shelby Lynn Moorer Oct. 22, 1968 in Quantico, VA. Her sister is the outstanding singer songwriter Allison Moorer. These two perform together sometimes and they are a potent combination. Of course the story is well known that their father was an abusive alcoholic and murdered their mother in 1986 and then killed himself. The girls moved to Nashville in 1987 and Shelby signed with Epic Records. Her first single If I Could Bottle This Up was a duet with George Jones. And her Epic albums were produced by legendary producer Billy Sherrill. But he couldn't do for Shelby what he did for Tammy Wynette and she left Epic in 1991 after three albums. She recorded the 1993 album Temptation for Morgan Creek Records, a short lived offshoot of Morgan Creek Films. When the label closed, she recorded the 1995 album Restless for another short lived label Magnatone. Curb picked up the album for distribution. So then Shelby moved to California and got together with producer Bill Bottrell who had recently had success with Sheryl Crow. They wrote and produced the 1999 album I Am Shelby Lynne for Island Records. Though the album was critically acclaimed and Shelby won a Best New Artist Grammy, there was no hit single and the album didn't sell. And it was so far from her country music base that those fans abandoned her. Her 2001 album Love, Shelby was even slicker pop music produced by Glen Ballard. Shelby recorded two albums for Capitol and then the 2008 Dusty Springfield tribute album Just A Little Lovin' for Lost Highway. After recording a couple of albums on her own label, Shelby signed with Rounder for the 2015 album I Can't Imagine. Rounder is now owned by Concord. She recently announced she will star in the film The Magnificent Room scheduled for release later this year. 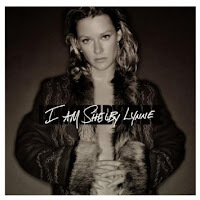 I Am Shelby Lynne is available as a budget CD and it's a good place to start to check out Shelby's very interesting career. Here's the video for Your Lies by Shelby Lynne.